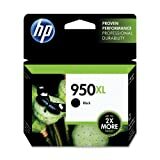 Rely on the HP 950XL Black Officejet Ink Cartridge for professional quality printing page after page. This high capacity cartridge will yield more than two times the pages of a standard HP 950 cartridge. 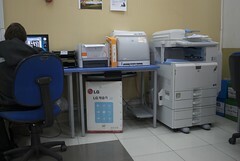 Use it to produce laser quality business documents and brochures that resist water and fading. Pigment based HP Officejet ink delivers bold, smear resistant black text ensuring excellent readability and image quality for projects and everyday prints.